Good morning surfers! Please keep the Franklin family in your thoughts and prayers. Donations can be made to help them on this page. 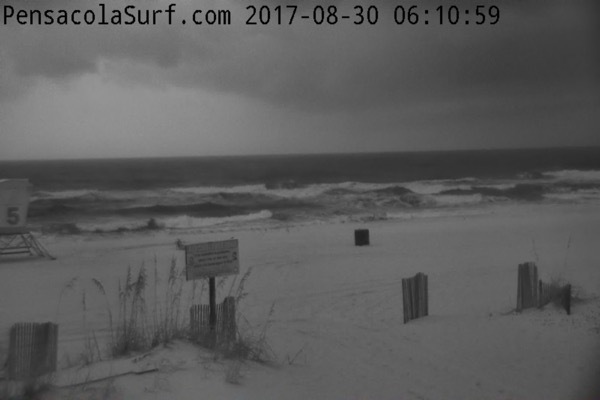 This morning it is stormy on Pensacola Beach with lots of lightning. 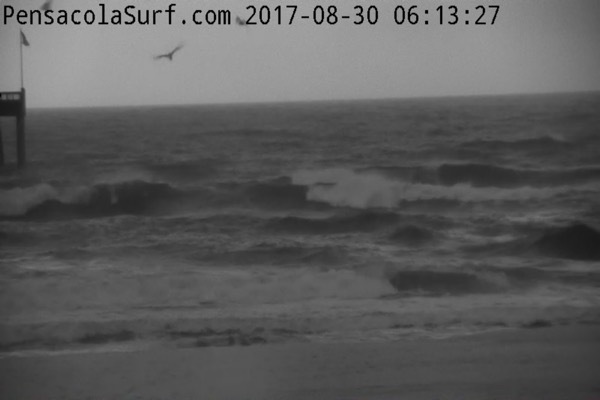 The waves are in the chest to head high range with bigger sets. 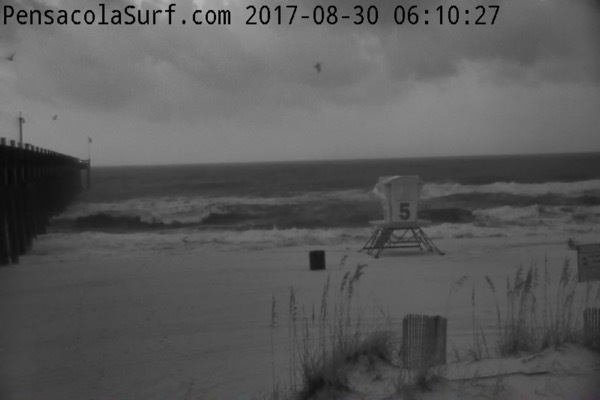 Wind are heavy out of the South Southeast at 20 mph causing very choppy, victory at sea conditions. As storms subside it could settle down some. 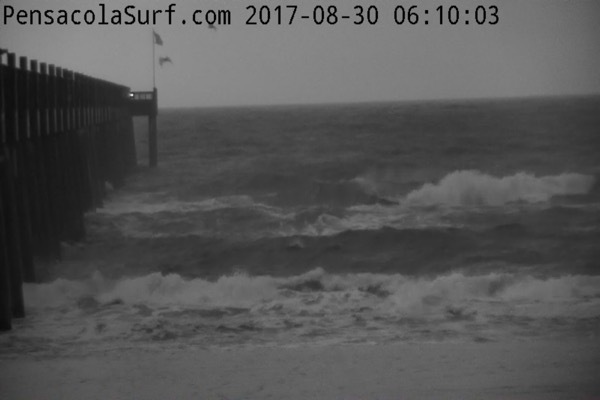 Tide was high at 5:30 am and will be high around 5:20 tonight. 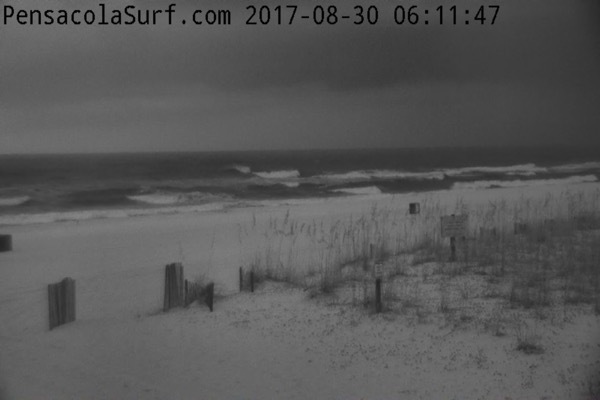 Be careful out there surfers and and have a great day!